KZF Design is a multi-disciplinary architectural firm that uses well-designed spaces to shape a company’s culture. We use well-designed brand systems to shape a company’s connection with clients. When their brand needed another look, we hit it off right away. 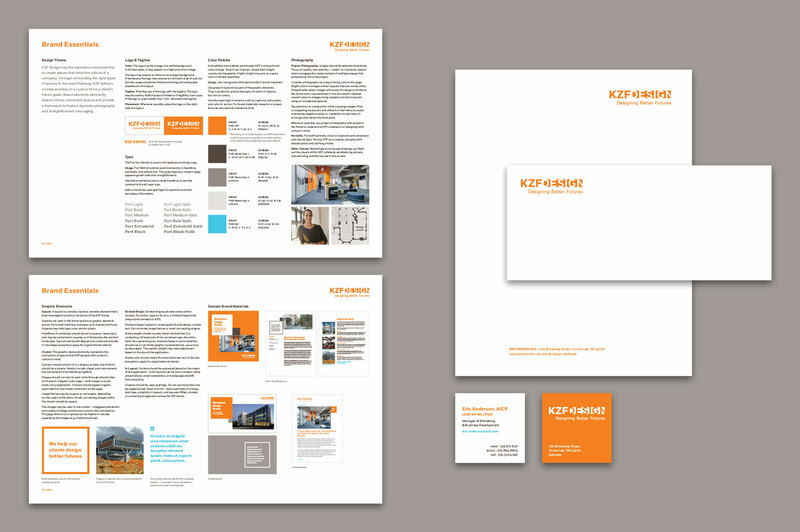 Leveraging their iconic orange color as a foundation, we modernized the KZF logo and visual brand. The main brand element represents KZF’s skill at connecting spaces that drive culture. The brand essentials guide explains the use of all elements in great detail, setting up the KZF marketing team for success. The existing sales collateral system was overly complex and inconsistent, so we looked at every aspect; we streamlined the sales materials with fewer pieces and standardized and elevated the brand itself. The new system allows KZF to pursue growing opportunities with multiple, easily customizable touchpoints. 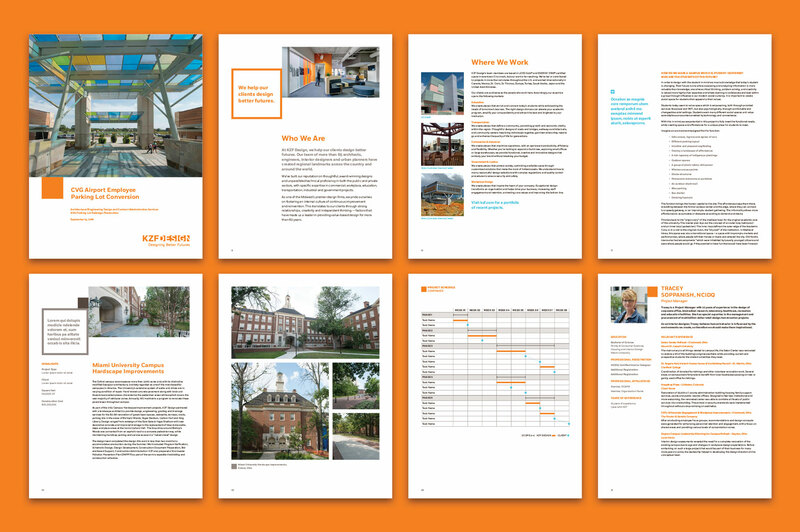 For example, templated market brochures highlight their many specialties, such as workplace design. 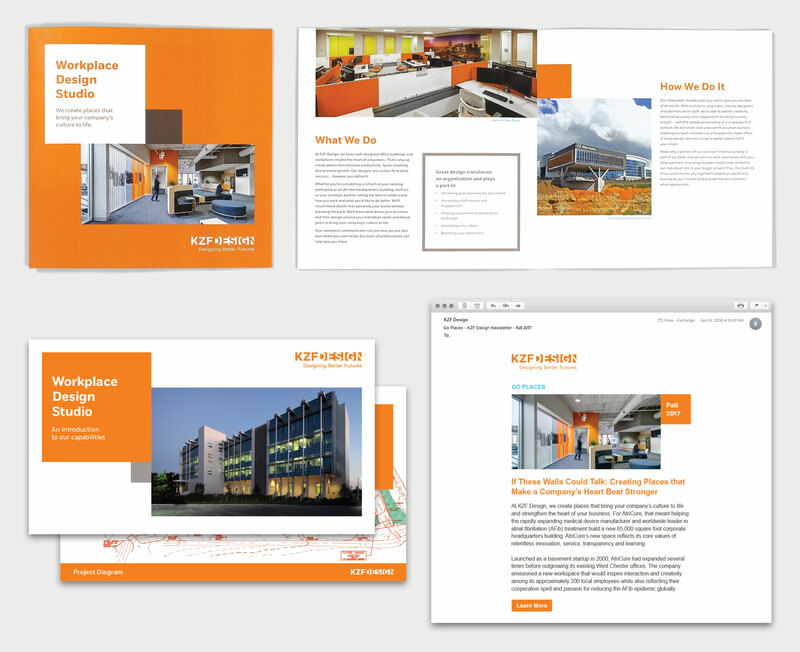 The mantra of simplification and customization further comes to life in a “proof of expertise” document that details KZF’s qualifications and tells an inviting story. This easy-to-use template is quickly adapted for each client and project, including a custom project approach, case studies, schedules and resumes.